The ancient Dutch city of Leyden is famous not only for the same-name cheese and jar (the first electrical condenser in the world), but also because Rembrandt Harmenszoon van Rijn, the greatest light-and-shade artist in the history of painted portrait was born here. Leyden is also known as the place where the Pilgrims from England emigrated for 10 years before setting off to the shores of the New World on “Mayflower” where they founded Plymouth - the first English settlement in America. 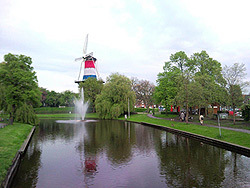 Another Leyden landmark (along with canals and windmills, inevitable in this part of Europe) is the oldest university in Holland, where studied René Descartes and Edsger Dijkstra, known to every mathematician and programmer. (Even those who are not aware of them happily use Cartesian coordinates to model geometric objects and Dijkstra algorithm to identify the shortest path in a graph.) From April 26-29 Leyden hosted a conference of Open Design Alliance (ODA). Around 100 participants from different corners of the globe - Australia, Belgium, Britain, Canada, China, France, Germany, Holland, Japan, Russia, Slovakia and USA - got together in the Holiday Inn. What drove all of them to pay a $350 registration fee and come to Holland for three days? A brief history of Alliance will help to understand this. It started in 1979 when Mike Riddle created Interact - the first ever automated drawing system for microcomputers (at that time all other CAD systems, including CADDS3, upon which Mike worked at Computervision, could only run on mainframes and minicomputers). The Interact system architecture and file format - DWG (DraWinG) served as the basis of AutoCAD, which was released in 1982 by Autodesk, a small Californian start-up. A competently chosen platform (little known at that time IBM PC) predetermined further success of AutoCAD and Autodesk. When other CAD developers moved to PC (in the 1990s with the advent of the Windows working stations), AutoCAD already was a “standard” drawing program. The standard also gained a footing in DWG binary file format: the more engineers, architects and constructors used AutoCAD (in 2008 Autodesk reported about having 9 million clients, most of whom used AutoCAD), the more DWG-files they created, and very soon other vendors were concerned with providing file downloading and saving in DWG format in their systems. Autodesk played an important role in the developments surrounding DWG format, by concealing its binary structure from the competitors, who were not allowed to use Autodesk libraries to read DWG-files. A logical consequence of such Autodesk position (admittedly, not uncommon on the software market) were numerous attempts of various companies on reverse-engineering of the format. Autodesk took pains to obstruct the work of those developers, for instance, by encrypting data in DWG-files and frequently changing their binary format. As a result of such actions of Autodesk, in 1998 companies – developers of independent DWG readers/writers decided to pool their efforts by creating a non-profit organisation OpenDWG Alliance. The objective of the Alliance was very straightforward: upon releasing a new version of AutoCAD, the Alliance should ensure ASAP that its members had an access to the libraries, which were able to read and write the associated DWG-files. Members of the Alliance who wished to use the libraries in their commercial products simply paid a fixed (rather insignificant) annual fee (a membership fee) to the Alliance. The money was spent for developing new versions of the libraries and satisfying the administrative needs. Soon the Alliance decided to support the libraries for reading DGN-files (the data format of MicroStation, developed by Bentley Systems), and changed its name to Open Design Alliance. The libraries were also expanded functionally. Currently, it is not simply a set of functions to access DWG/DGN-data, but a fully-fledged platform for creating a separate CAD application - with visualisation possibilities and a developed API with design tools for custom objects, which opens the door to integration with the third-party components. Along with technological evolution of the libraries, the Alliance introduced several membership levels: from founding members, who have the right of access the source code of the Alliance’ libraries (including their modification in the members’ interests) to associate members, who could use the libraries free-of-charge for the purposes of product development, provided the derivative products were not commercially distributed. This policy promptly boosted Alliance popularity – in its best years it had up to 5000 member-organisations (currently the Alliance comprises 2000 organisations, in particular, as a consequence of introducing a symbolic fee ($100 per year) for associate membership). Everything changed in 2005 when the Alliance run into internal problems, caused by embezzlement of $600,000 collected as membership fees. Evan Yares, the then President of the Alliance had to retire. The new President started robust transformation of the alliance structuring, introducing positions of the office manager (responsible for legal issues), financial manager (financial arrangements) and CTO (technological development) and putting forward the principle of management transparency. Barely had the Alliance recovered from the in-house shocks, when it took a new blow, this time from Autodesk that filed a lawsuit against ODA for unlawful use of the words “Autodesk” and “AutoCAD” in the files generated by the Alliance’s libraries and (25 years on!) finally decided to register DWG as its trademark. As a result, the Alliance had to stop supporting TrustedDWG (a straightforward mark through which Autodesk distinguishes its “own” DWG-files from the “alien” files and spent most of the membership fees reimbursing the lawyers. Luckily, the litigation is over and at the moment nothing threatens Alliance development. This back story was refreshed to the members of the Alliance, who mustered up for the first conference in the Alliance’s 11-year work, by the ODA President, Arnold van der Weide. He said that as a result of his reforms, the ratio of development expenses to the costs of administrative support was brought from 2.2 to 8.5. In 2008 the Alliance’s annual revenue increased by 11% (for the first time in ten years) and the growth continued in the Q1 2009 despite the global crisis. Concluding his speech, Arnold van der Weide announced ample development plans: from enhancing supported platforms (the next goal – Android) and supporting new formats (first of all, PDF) to intensive cooperation with component suppliers and testing improvements. The President emphasized the new Alliance positioning as a supplier of a platform for developing technical graphics applications. 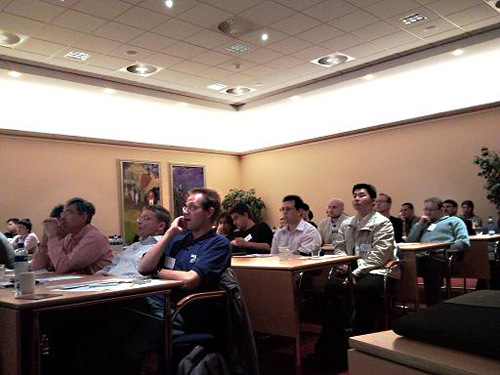 The objective of the Leyden conference was stated as improving communication between the members of the Alliance, its management and developers, as well as suppliers of technical components integrated with ODA libraries. The conference program was hard-driving: two full days of presentations and a half-day of training sessions. All presentations fell into three groups. The first was represented by the reports of ODA developers led by Neil Peterson, the Alliance’s CTO. All 21 members of ODA staff were present at the conference, most of them are from St Petersburg. Second, there were few presentations given by the members of the Alliance about their products. Finally, the very representative third group included presentations by developers of third-party technological components about their integration with ODA libraries. Let’s start with presentations of ODA developers. 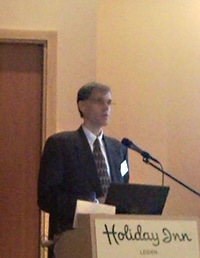 Neil Peterson, the Alliance’s CTO, delivered two presentations. First, he described the history of libraries’ development and the latest achievements in this area. 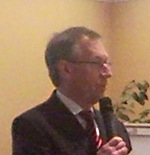 In his second presentation, he announced the future plans, which deserve closer attention. The highest-priority task at the moment is to support DWG-files created in AutoCAD 2010, which became available only a month ago. The most important novelty to be supported – geometric and dimensional constraints. The task becomes more complicated as Autodesk once again changed the binary format of DWG-files in 2010 version; but it is not an unsurmountable obstacle for the Alliance developers, who demonstrated at the conference possibility to read simple drawings created in AutoCAD 2010. The Alliance plans to release new versions of its libraries supporting this format already in 2009, in two stages. Other important tasks include releasing .NET-version of the DWGdirect library, supporting a new Android platform and achieving integration with third-company products ACIS/Parasolid in BRep-modeling, HOOPS/Redsdk in real-time rendering and DCM/LGS in solving geometric and dimensional constraints. Other presentations by ODA developers were of a very technical nature and clarified various functional aspects of different libraries developed by the Alliance: “DWGdirect and DGNdirect Libraries” (Sergey Slezkin and Mikhail Kuzinets), ”ADTdirect and ODA facet modeller “(Vadim Kosarev), “Supporting Solid Bodies” (Alex Rumyantsev). Developers’ presentations were technically complex, and included code illustrations and demonstrations of how the applications work. Sergey Slezkin, the Head of Developers, referred in detail on the tools for correcting errors in DWG-files (Alliance has managed to overcome Autodesk in this component). Vadim Kosarev talked about architectural objects, supported in ADTdirect solution (walls, roofs, doors, windows, stairs, etc.) and presented a BRep-modeling library that supports all main operations for solid-body modeling. Leaping ahead, on the third day of the conference developers organised trainings on programming for representatives of the member-companies of the Alliance. Taking the opportunity, I sought detailed information about the tools of console input and possibilities of tracing the system events related to editing of embedded objects. Such first-hand consultations are priceless and I would like to express my profound gratitude to ODA developers for the time they devoted to those explanations. There were just a few presentations when members of the Alliance reported about their products based on DWGdirect/DGNdirect, but those presentations were very informative and interesting. 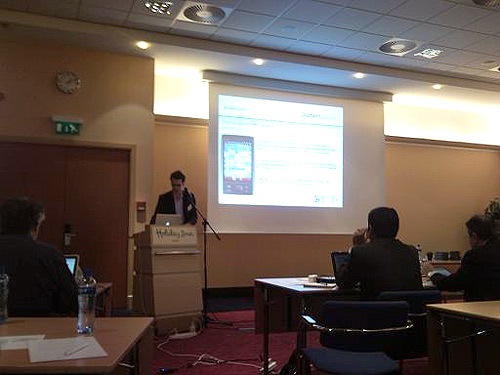 Robert Graebert, the CTO of a German company named Gräbert, talked about “Mobile DWG”. Founded in 1994, the company delivers its products under the PowerCAD brand (that soon will be rebranded as ARES) and apart from usual desktop platforms and Windows XP/Vista also supports mobile devices based on Windows Mobile 6. Every conference participant was given a CD with evaluation versions of ARES/PowerCAD for different platforms (BTW, anybody can download those versions from www.graebert.com), and I personally tested the PowerCAD CE version on my phone Samsung i900 Omnia. I can confirm that it is truly a fully-fledged analog of AutoCAD with drawing and 3D visualisation capabilities, fully compatible with DWG format. Gräbert experts see very good prospects of CAD employment in a yet unoccupied niche of mobile devices, having in mind such kind of scenarios: an architect arrives to a site with a laser measurer, measurers all necessary dimensions and immediately creates a drawing on his (her) PDA/phone, and then continues working on the drawing in the office using his (her) PC thanks to complete unification of PowerCAD version for different platforms. All this was demonstrated live to the audience (those readers who have had personal experience of working with interior designers or custom-design furniture manufacturers, will undoubtedly appreciate the Gräbert’s idea (when initially all dimensions are put on paper and then transferred to the computer later in the office, errors are unavoidable). IMSI/Design (USA), that is known for its product TurboCAD (which along with AutoCAD was one of the first CAD for personal computers; its first version was developed in 1986) and a recent release of another product - DoubleCAD XT, which is positioned as a direct competitor to AutoCAD LT, reported on possibilities of working with geometric and dimensional constraints in TurboCAD. According to Mauritz Botha, CTO of IMSI/Design, it was their realisation that inspired Autodesk to create similar functionality in AutoCAD 2010. 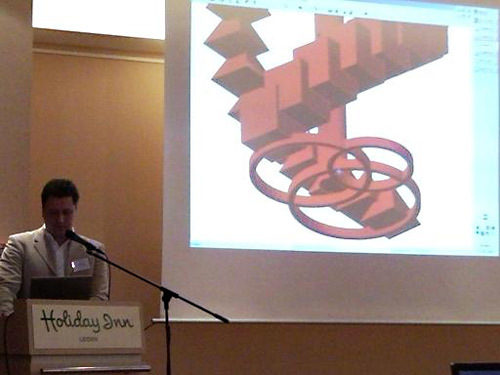 At the conference Mr Botha also demonstrated data exchange possibilities between SketchUp and TurboCAD. Bricsys from Belgium, another founding member of the Alliance, discussed it product Bricscad, which, in fact, does not need special presentation because it is well-known to the Russian users as an affordable alternative to AutoCAD. Erik de Keyser, the company’s CEO, explained to the conference that despite the overall recession Bricsys was increasing its turnover due to a growing demand for economical solutions. 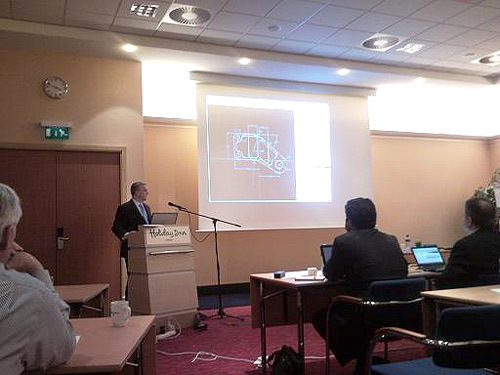 Luc de Batselier, CTO, emphasized that they had already been able to port more than 300 AutoCAD plug-ins to the Bricscad platform. Finally, the most interesting group of presentations from a technological point of view comprised the reports given by representatives of the third-companies that offer their components to the Alliance. At the conference I represented LEDAS and I had an opportunity to speak about “Using LGS Geometric Solver to Create a DRX-module that Supports Geometric and Dimensional Constraints”. I found myself alongside our direct competitor - Jim Thorpe from Siemens PLM Software who made a presentation “D-Cubed 2D Dimensional Constraint Manager”. The conference organisers wisely did not leave any single component vendor without competitors: for instance, in his presentation Mr Thorpe discussed not only the DCM geometric solver but also Parasolid geometric kernel, and immediately after him representatives of Spatial (a part of the Dassault Systemes’ empire) talked about a competing ACIS geometric kernel and GGCM geometric solver (which, however, has not yet been commercialised but Spatial experts demonstrated its use for kinematic simulation). Similar situation was with the components for real-time rendering: representatives of TechSoft 3D convinced the audience of the advantages of their HOOPS platform, which is used by many leading CAD software development companies throughout the world for visualisation; while their direct competitors from Redway3D of Paris (founded by former employees of Dassault Systemes), whose presentation was scheduled on the same day, demonstrated impressive efficiency of their slider that, using the same examples, generated 200 times more shots per time unit that the standard renderer based on OpenGL or Direct 3D. Talking about the presentations at the conference, one cannot miss a report that stood apart, not fitting any of the above categories. It was the keynote presentation by Bjørn K Stangeland, the President of the buildingSMART alliance, a non-profit organisation (similar to ODA), which is involved in developing open standards for data exchange in AEC. Obviously the interests of this organisation are mainly determined by the needs of the two major players in this market niche - Autodesk and Bentley Systems. The principal project of buildingSMART is BIM (Building Information Model). buildingSMART is working on the industry standard for BIM and the class library of access software to the relevant tools. Summing up the results of the first ODA conference, first of all, I would like to emphasize its excellent organisation, undoubtedly due to the sound experience of the Alliance President, Arnold van der Weide. The proposed program was observed without even slightest changes. The technical part (registration, coffee-breaks, lunches and dinners) was impeccable. I learnt about the conference just three weeks in advance and had not much hope for success, sending an application for making a presentation. Nevertheless, Mr van der Weide kindly invited me to deliver the proposed presentation at the conference and arranged the time for my report in the already made-up program and promptly organised a Letter of Invitation. Certainly, without such attitude from the Alliance President, the participants would hardly learnt about the availability of a ready solution for supporting geometric and dimensional constraints, which is intergrated with ODA libraries. Substantially, the new positioning of ODA turned out to be an important outcome of the conference: now the Alliance aims not only at developing and supporting the open CAD data exchange formats (for instance, DWG and DGN, with prefix Open in the Alliance specification), but creating a fully-featured platform for developing technical graphics applications, open for integration with the third-party tools. The platform stands to become the site for developing competitive CAD systems; and some Alliance members have already realized that by releasing (or announcing a release) of their own applications based on DWGdirect/DGNdirect. The Alliance blueprints robust rebranding and appeal to new members to embrace its cause. Recently LEDAS, which I represented at the conference, has become an associated member of the Alliance. LEDAS intends to actively collaborate with the developers of DWGdirect- and DGNdirect-based applications, providing ready-to-use variational design tools in 2D and 3D, particularly hot variational direct modeling technology for easy parametric editing of 3D history-free models with preserving their design intent. Four well-known journalists took part in the work of the conference - Ralph Grabowski (Canada), Randall Newton (USA), Deelip Menezes (India) and Rob Sman (Holland). Three of them have already given detailed accounts of the conference in their blogs (WorldCAD Access, AECnews and Deelip.com accordingly), where interested readers can find out about more fascinating details in English, including substantive comments to the LEDAS report. Deelip Menezes, who also is the CEO of SYCODE, a developer of CAD-plugins that help users exchange data in different formats, presented his book “OpenCAD” to the conference participants. The book describes with specific examples how anybody can build his own CAD step-by-step on the basis of ODA libraries. It will soon be available in e-format (on Wiki platform) to all members of the Alliance. It was announced that the next conference will take place in Florida, USA. Further announcements will be placed at www.OpenDesign.com. Leaving Leyden for Amsterdam on the eve of the “pandemic” orange – beery night out called the “Queen’s Day” (this year marked with infamous tragic events), I had several rounds of important negotiations with representatives of the member-companies of the Alliance, interested in implementing LEDAS geometric solver in their products. Having enjoyed the Rembrandt’s “Night Watch” at the Amsterdam Rijksmuseum (this monumental painting is exposed in a separate and the most important hall of the Museum), I envied the Alliance developers who, upon returning to St Petersburg, would be able to visit the Hermitage to get an eyeful of the last and the greatest masterpiece of the Leyden artist - “The Return of the Prodigal Son”. Dr Dmitry Ushakov is LEDAS Product Management Director (until recently - Chief Technology Officer). He has been with the company since its foundation in 1999. Mr Ushakov was involved in development of the computational program components for CATIA V5 commissioned by Dassault Systemes, which served as the basis for several applications successively applying variational approach to parameterisation. In his capacity as the CTO, he coordinated all software development projects performed by the company. In 2008 Dmitry Ushakov became the Product Management Director and framed a long-term programme for development of LEDAS portfolio of products and services. He proposed to implement a technological initiative for Variational Direct Modeling and currently is managing the market launch of a new line of products called Driving Dimensions, which is aimed at increasing the revenue generated by marketing goods and services under the announced program. In 1993-1999 Dmitry Ushakov was a researcher at the Russian research Institute of Artificial Intelligence and became the principal developer of a universal object-oriented expandable solver for constraints satisfaction and optimisation tasks. In that period he published more than 50 academic papers in collaboration with other researchers. Dmitry Ushakov graduated from Novosibirsk State University in 1993 with a Bachelor’s Degree in Mathematics and Applied Mathematics, and in 1995 obtained a Master’s Degree in Computer Science. In 1998 he was awarded a degree of the candidate of physical and mathematical science (PhD), specialising in “Mathematical Support for Computers, Computer Systems and Computer Networks”.